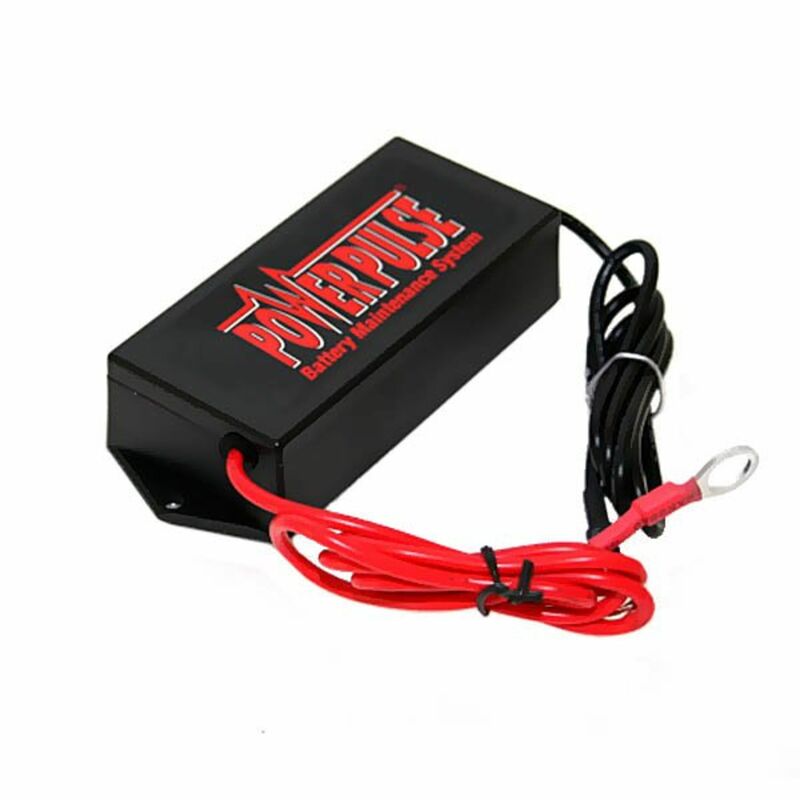 Designed Especially For Frequently-Charged 12-Volt Battery Systems. 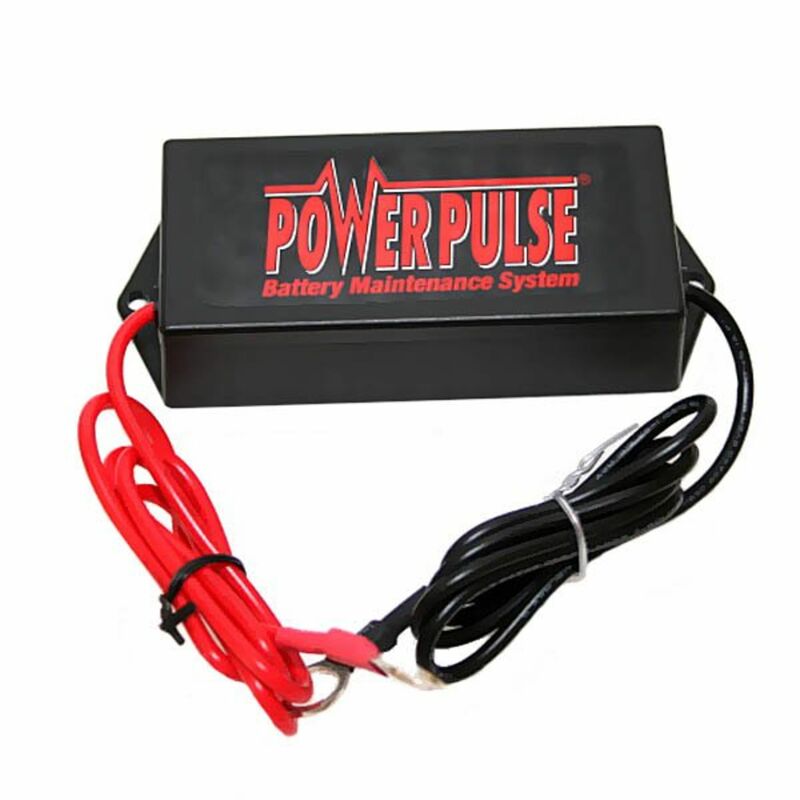 Selected as a Top 50 Product by Automotive Engineering magazine, the 12-Volt PowerPulse is designed to ensure maximum battery performance on single 12-volt lead-acid batteries. 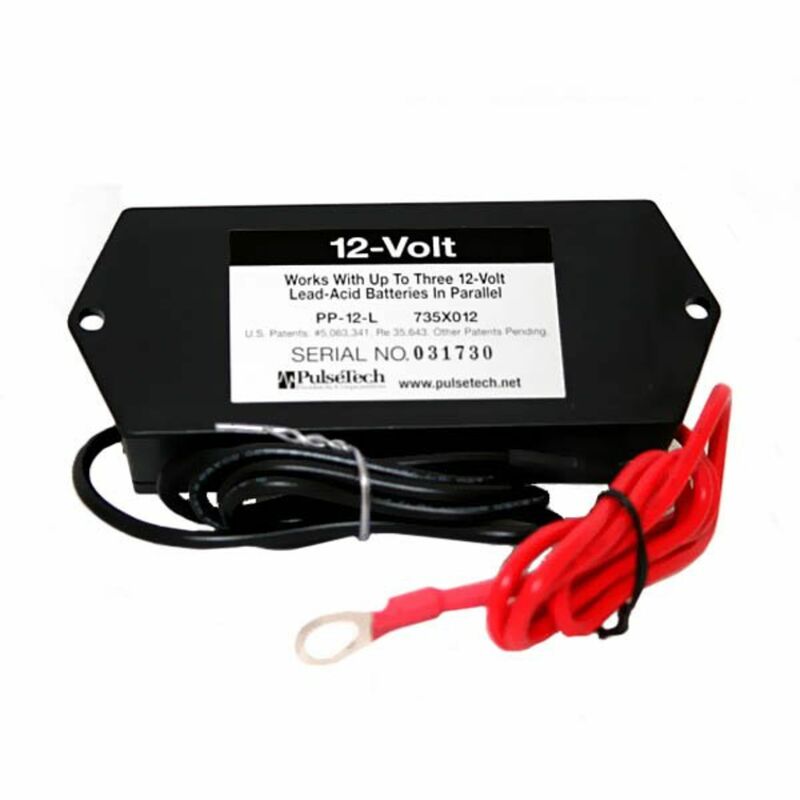 It also works on two or three 12-volt batteries connected in parallel. This unit is ideal for virtually any kind of vehicle or equipment that is charged on a regular basis, including cars, over-the-road trucks, delivery trucks, boats, emergency vehicles, generators and much more. It comes with lugs that connect directly to the battery terminals. PowerPulse is not a charger. It’s a performance device designed to help batteries charge faster and provide maximum performance and power. This patented unit uses our revolutionary ReNew-IT Pulse Technology™ to safely prevent the main cause of battery problems and failure: sulfation buildup on lead-acid battery plates. Used extensively by consumers and the U.S. Military worldwide for fifteen years, this technology has been scientifically proven by two major universities to make batteries work harder and last longer than you ever thought possible. Increases battery life span up to three times longer. Do you own the PP12L? Please, tell us what you think about it. It helps us provide you with better products. Please note that it may take up to 72 hours for your review to appear. Pros: I was hunting for something to extend the life of the batteries fitted on my canal boat. The product seemed just right and Graham in the Tech Team was very helpful and patient answering all my questions. The next problem was getting it shipped to England, not a problem for Robin in sales. I will not know if it is working for a while, but if customer service is an indicator of product quality I have nothing to worry about. I am passing the word amongst my fellow canal boaters. Pros: An excellent product. Easy to use and highly effective. Pros: Very compact and easy to use. Time will tell if it extends my battery life or not. With the higher costs of AGM batteries, it is well worth $40 for an extra year or more. Pros: Looks to be working great. I bought a second one, however I bought it from another site only because the other site accepted Paypal so I was not forced into using a credit card. Cons: None and use the Solargizers also for motorcycles and boats. All Products perform as advertised. Pros: As far as I can tell, it does what it claims. Been using this product in a boat for almost 5 years now. I live in in a climate where the boat sits for 5 to 6 months each year. I paired it with a ProXtra 6 Amp smart charger. I have yet to need a replacement battery. If it croaks for whatever reason, I'm getting another. Pros: Bought 2 of these units per the outstanding tech support (Anthony) at batterstuff.com for our bank of 4 deep cycle batteries. they were not accepting a full charge, and had never been low on electrolyte but were 1 year deep cycle from East Penn, not true deep cycle. Been running these units for about a month now, and batteries are now coming up fully charged! I was warned about many of these units being a waste of money, but these do seem to work and are affordable. we are adding a 2nd battery bank and plan on installing these on the new batteries.